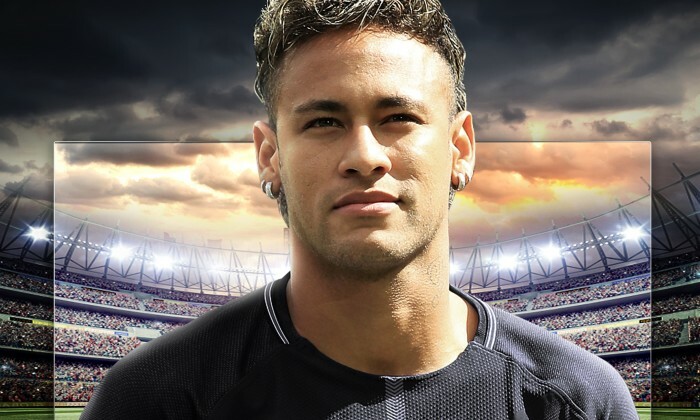 Ahead of the 2018 FIFA World Cup Russia, TCL has announced the 26-year-old Brazilian professional footballer Neymar Jr as its global brand ambassador. And the exclusive partnership lasts beyond the season – it will last for two years, which sees Neymar Jr appearing on TCL TV and print commercials across its major businesses including the group’s TV business, TCL Multimedia, and household appliances, as well as participating in a series of global, online and offline marketing campaigns for the brand. This is not the first time TCL has announced global sports partners. The brand has been investing in sports and entertainment marketing, and its other partners include NBA’s Minnesota Timberwolves and Lynx, soccer team San Jose Earthquakes, Brazilian Football Confederation (Brazil), Rosario Central Football Club (Argentina), Philippine Basketball Association (Philippines), The Melbourne Cup and Melbourne Victory Football Club (Australia). The latest partnership is said to be the brand’s latest initiative in an extensive programme of premium sports sponsorships worldwide. The brand said the new face will help TCL to embrace a wide audience of young sports fans worldwide and raise TCL’s global brand visibility. “Neymar Jr. is truly a global sports icon who inspires fans to strive to reach the ultimate standards of excellence, just as TCL constantly strives for excellence in technological and product innovation. With sports fever set to spread all over the world this year, Neymar Jr. is undoubtedly the best possible partner with whom, together, we can deliver an exceptional experience to our consumers,” TCL Corporation chairman and CEO Tomson Li said in a release. “I am thrilled to be partnering with TCL. It was an easy decision for me. I share similar values with TCL – the constant pursuit of excellence and great results in every game and I’m excited to work closely with TCL and support the company’s efforts to bring the global sports community together through football,” said Neymar Jr.
Just four months after launching, the news outlet aims to raise $2 million in 30 days with a view to investing more in original re..